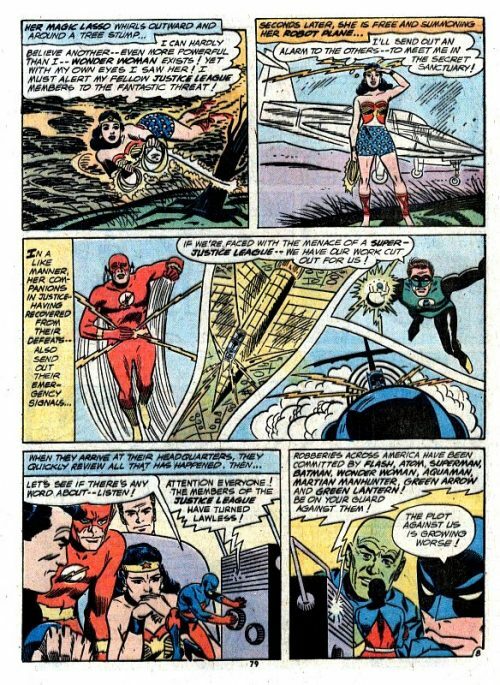 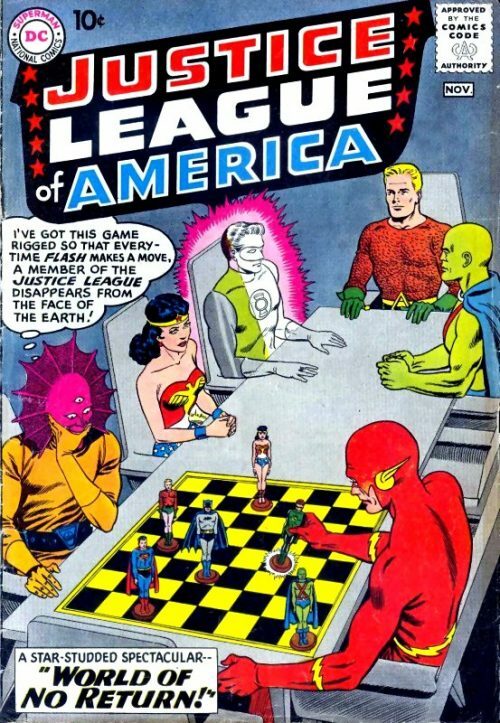 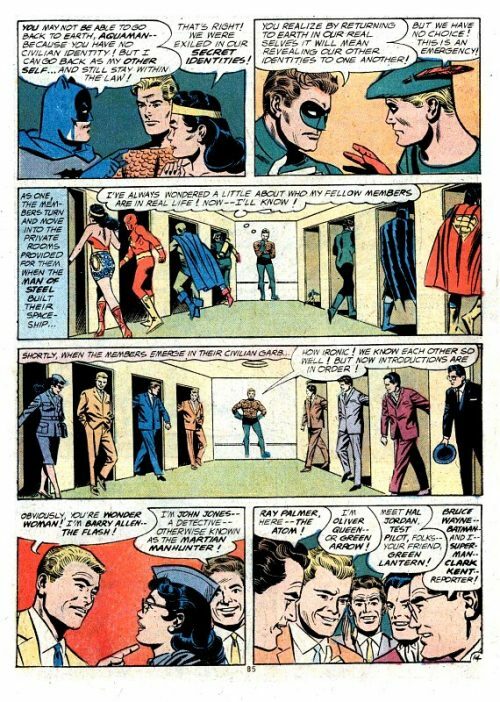 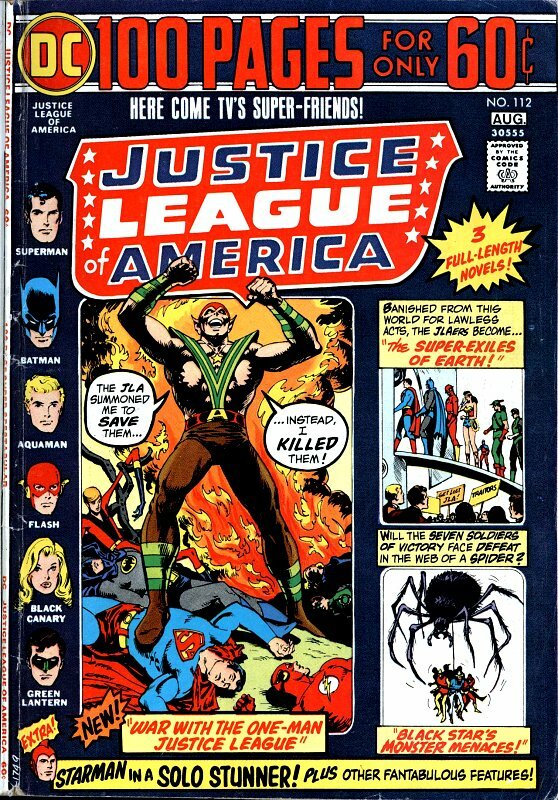 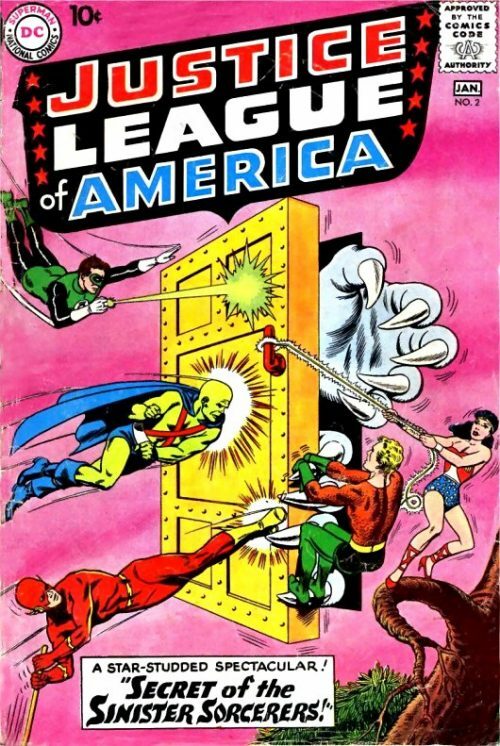 The JLA members each face their evil doppelgangers and are then blamed for their lawless actions and exiled from Earth. 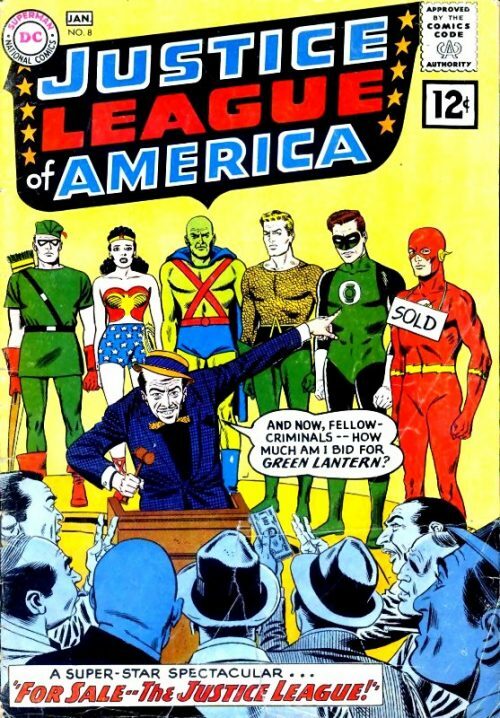 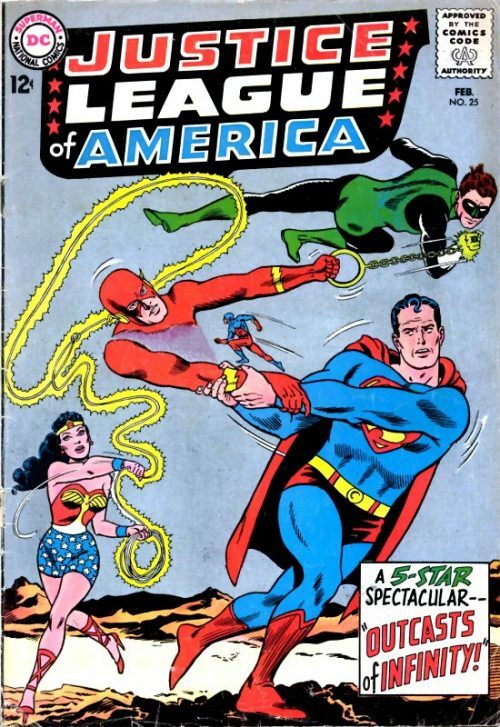 When they return to fight their duplicates, the JLA discovers they are manifestations of their own dreams. The Atom performs microscopic brain surgery to disable them and the JLA shuts down Dr. Destiny’s materiopticon to destroy the dream-beings.